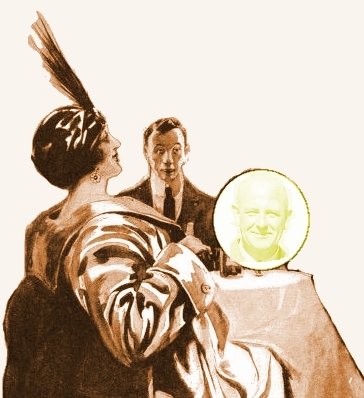 This complete list of Wodehouse’s contributions to Collier’s in the period from 1910 to 1922 has been freshly proofread against scans of the original magazine pages during 2013–15. Enjoy, and let us know of anything that needs further examination. As time permits, annotations are being added to these stories, as indicated by the symbol ✎. 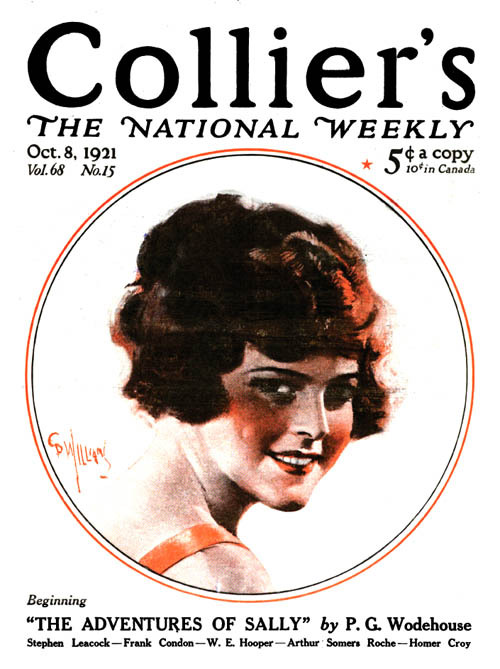 *Collier’s was not published April 17 to May 8, 1920, so the May 15 issue (not dated in the usual way at the top of right-hand internal pages) was the next issue after April 10. Collier’s Weekly was an American magazine founded by Peter Fenelon Collier and published from 1888 to 1957. With the passage of decades, the title was shortened to Collier’s. Wodehouse had a very lengthy association with Collier’s, starting with the printing of “Archibald’s Benefit” in 1910, continuing with eleven stories and nine serialized novels through Something Fishy in 1956. We present here the complete set of Wodehouse stories and serializations in Collier’s before 1923; later items are still under USA copyright and cannot be included on this site.